We're All Here Cuz... We're Not All There! 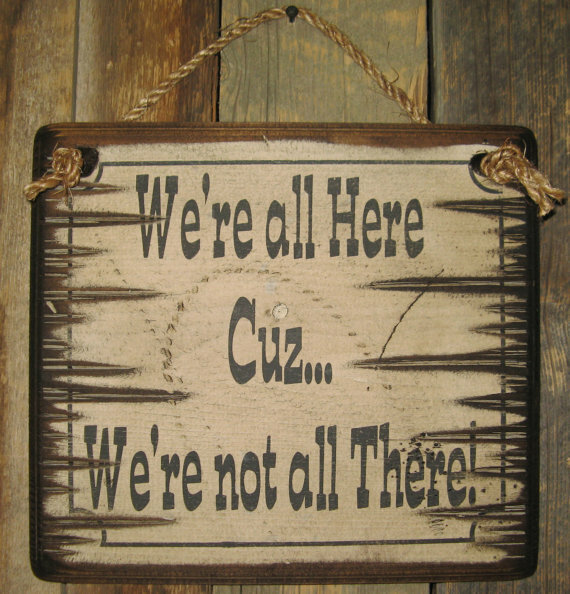 We're All Here Cuz... We're Not All There!! WOW! If I haven't said that to myself several times in the last few years! 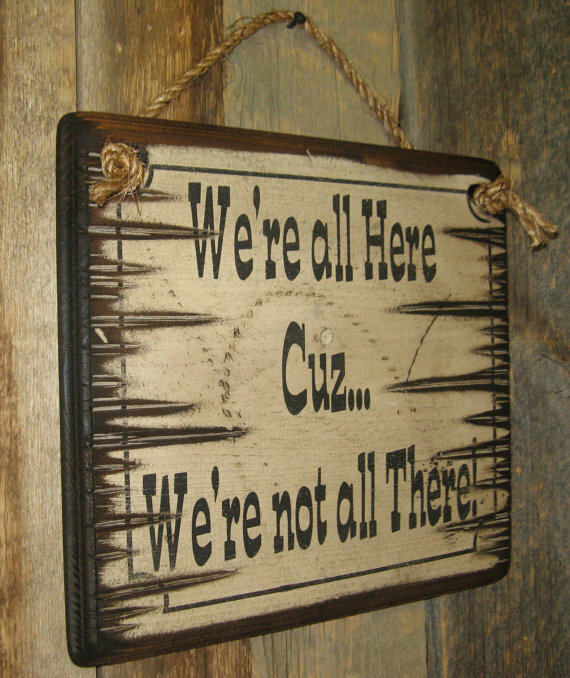 This sign lets people know that they aren't the only ones that might be a little "out there!" This white background sign measures 12x12 and comes with the grass rope hanger for easy hanging! Handcrafted with pride! 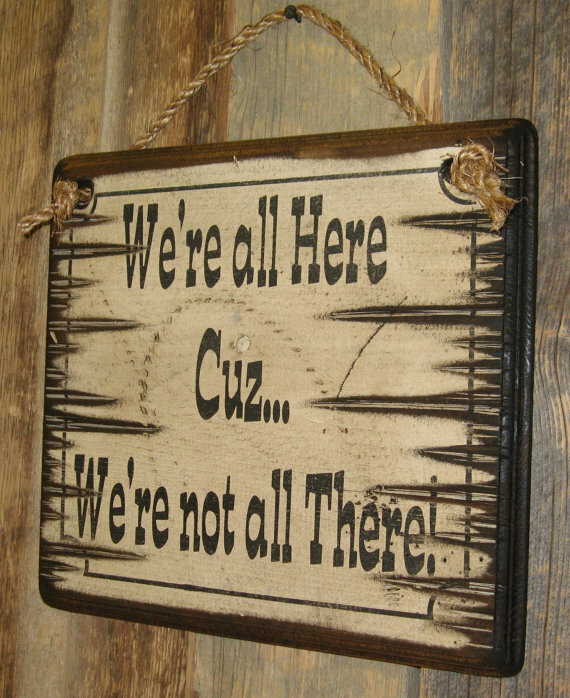 About We're All Here Cuz... We're Not All There!